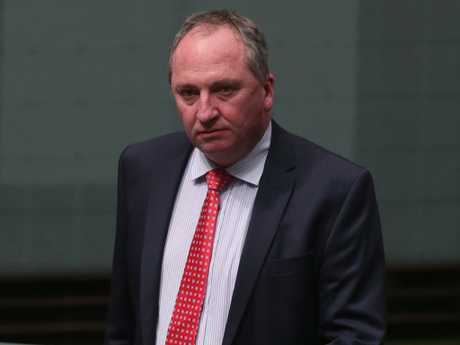 BARNABY Joyce has fuelled speculation he is looking to make a political comeback as a close ally of the former Nationals' leader said "never say never" when asked about his return this morning. Mr Joyce has weighed in on energy policy today, calling for the government to ditch Malcolm Turnbull's pet Snowy Hydro 2.0 project and build a coal-fired power station instead, in a move that has fuelled speculation he is looking to make a political comeback after being forced to step down as Nationals leader in February amid the scandal over his relationship with former staffer Vikki Campion. It comes after News Corp reported yesterday that not one of the 22 members of the Nationals Party room could confidently rule out Mr Joyce calling for a spill of the party's leadership before Christmas. 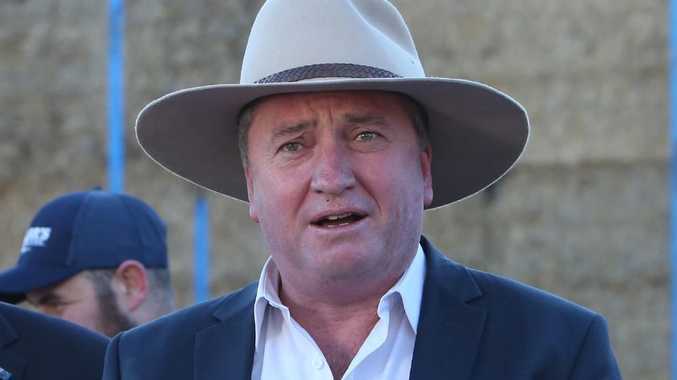 A key ally of Mr Joyce, Agriculture Minister and Nationals MP David Littleproud, said this morning "never say never in politics" when asked if he could see the former Deputy Prime Minister leading the party again. "The reality is it's a fluid place, Canberra, anything can happen in the future and Barnaby has a lot more to offer in regional and rural Australia," Mr Littleproud told the ABC. He downplayed the reports at the weekend that Mr Joyce was on the comeback trail, saying "that's people with too much time on their hands". 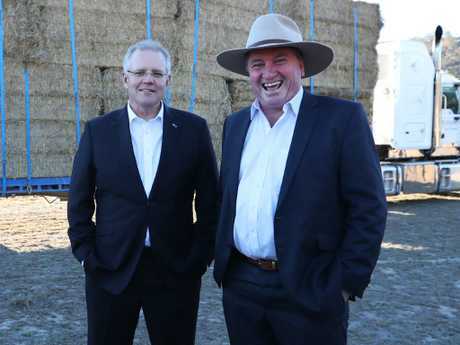 Mr Littleproud also said the Nationals were "pretty happy" with new leader Michael McCormack, despite ongoing reports about frustration in the party room that he failed to land a deal on agricultural visas for foreign workers for farm labour. "We are pretty happy, things are back on track and people expect us to focus on them and them not on us," Mr Littleproud said. When asked if Mr Joyce could repair his public image after the scandal in February, Mr Littleproud said: "He hasn't broken any law. That's the reality." "I'm not supporting his lifestyle choices but he's his own person and he's got the right to privacy. His family's got the right to privacy and the reality is, he should get on with the job and deliver for regional and rural Australia." Amid reports about his wining and dining journalists in recent weeks as part of a campaign to rebrand his image, Mr Joyce today spoke out about the need to ditch the Snowy 2.0 project as its costs blew out. "I would prioritise coal-fired power stations," Mr Joyce told The Australian when asked how the money for the Snowy project should be spent instead. He criticised the energy storage project, designed to add stability to the grid, for using energy to pump water uphill rather than being an energy producer. "It is a net energy user - it doesn't create energy," Mr Joyce said. "You can't increase supply by reducing supply, and this means you need base-load power." He also said the initial estimates for the costs of Snowy 2.0 were "miles away" from what the final figure would be given the geology was more difficult than first thought. The Morrison government is due to consider whether to go ahead with the final project in December. Snowy Hydro chief executive Paul Broad told The Australian the group hoped to start ­exploratory works for the project as soon as possible, subject to ­environmental approval and government sign off. Energy Minister Angus Taylor told the publication Snowy 2.0 offered "a unique mix of firming and storage oppor­tunities for the national electricity market". 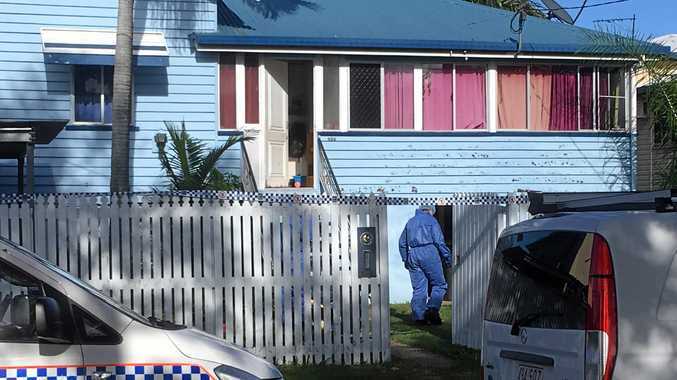 "The commonwealth has ­always stated that the business case needs to stack up on its own merits," Mr Taylor told The ­Australian.